The number is probably more associated with Al Jolson than anyone other than Elvis, but Jolson did not make a recording of it until 1950. Numerous artists recorded AYLT in 1927, including the composer himself, Lou Handman, who played piano backing while his sister Edythe provided the vocals on the Gennett label (27 June), and Vaughn DeLeath ("The Radio Girl") who recorded the number twice, first as a solo on 13 June 1927 and then on the following 1 October, as vocalist for The Colonial Club Orchestra. Famed tenor Henry Burr released his own version in that same year, having recorded it (probably) on 5 August. Ned Jakobs is often listed as the first to record the number (he recorded it on 17 May 1927), but his recording was not used. At least one recording of the number is reported to have been made on 18 June, 1926, the year in which it was copyrighted; this was done by Bob Haring, leading the Cameo Dance Orchestra, a sort of studio band brought together to record as much as possible as early as possible -- have a look here.. This number was released on three labels: Cameo 967, Lincoln 2540 and Romeo 250 (all with the same matrix number). However, the recording is purely instrumental (at least on Romeo 250, where the performer is listed as the Dixie Daisies) and writing credits are shown for Turk, Little, Britt and not Turk, Handman. It looks, therefore, as if Roy Turk's lyrics were set to music twice: the familiar song as Elvis recorded it and an earlier version, with music by Little and Britt. 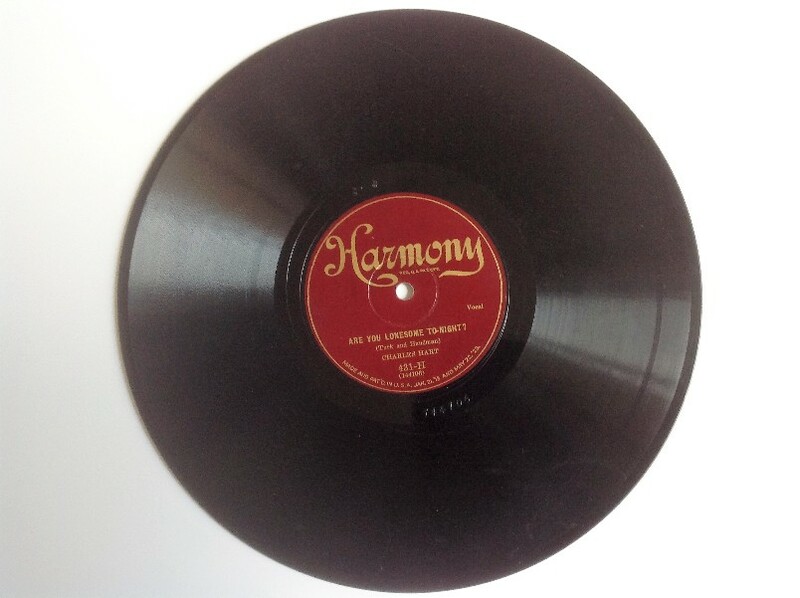 Therefore, the original honour has to go to Charles Hart (see good biography), whose 9 May 1927 recording was released as "Are You Lonesome To-night" on Harmony 431. Colonel Parker persuaded Elvis to record this number, a favourite of Mrs. Parker's! The arrangement used in Elvis's version is based on the 1950 recording of Are You Lonesome Tonight by the Blue Barron Orchestra. The spoken part is loosely based on a speech by Jacques in Shakespeare's "As You Like It", Act II Scene VII: "All the world's a stage, and all men and women merely players: they have their exits and their entrances; And one man in his time plays many parts." Faith had me playing in love with you as my sweet heart.